Do you remember the first time you stepped foot into a yoga studio? You likely weren’t sure what to expect. Perhaps you were skeptical or nervous, or maybe you were downright excited. Some people know after that first class that yoga is for them while others need a few classes to connect. But here you are today, not only continuing to practice but reading blogs about yoga! Perhaps the most interesting part of teacher training is that all aspects of yoga, not just the poses, are discussed and studied in detail. You’d be surprised how much more there is to yoga than the asana practice. Gaining knowledge of yoga traditions, wisdom and philosophies is often cited as one of the most surprisingly fascinating aspects of yoga teacher training. 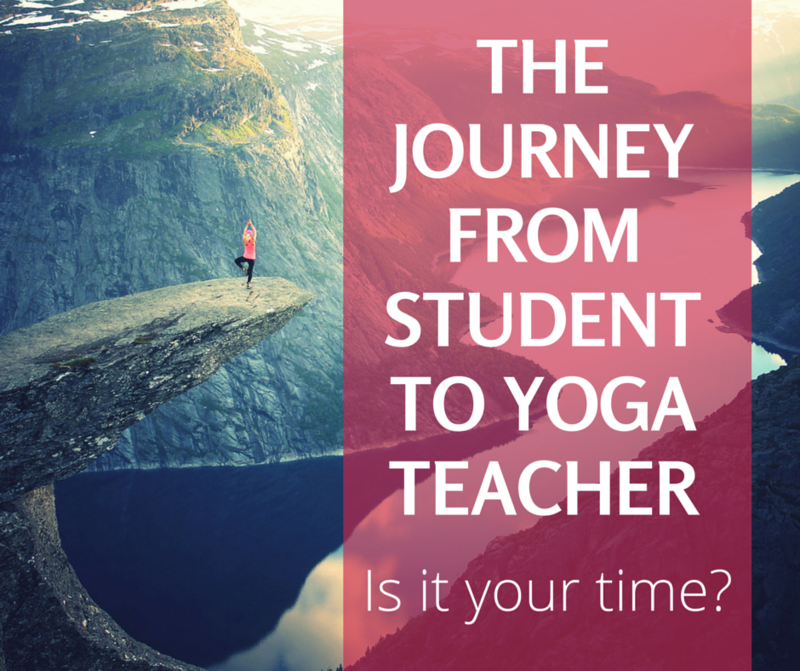 Even if you are not sure you want to become a teacher, you will deepen your personal understanding of yoga. After teacher training, you’ll never breeze through another class without focusing on your alignment, noting possible modifications and thinking about the specific benefits of each and every pose throughout your practice. With a more thorough look at the ins and outs of your practice, you may redesign your practice to better fit your individual goals. Yoga helps quiet the mind which in turn fosters self awareness. Awareness leads you to a more conscious lifestyle where you are able to focus clearly on what truly matters. Sometimes it’s hard to cut out the chatter during your regular yoga practice. Yoga teacher training gives you the opportunity to dive deeper into yourself and you’ll be surprised how it transforms the way you treat yourself and others. Remember again the teacher who opened your mind to yoga? Becoming a certified yoga teacher will give you the opportunity to have that impact on others. Remember how you felt when you first started yoga and you couldn’t believe how great it made you feel? This is your opportunity to help others feel the same way. The yoga community by nature is a welcoming group. Imagine spending 200 hours delving into all aspects of yoga with a group of like-minded and motivated people who are on a journey to change their lives for the better. It’s a recipe for developing deep friendships that will lead you down the path of building your very own yoga family. In today’s turbulent economic climate, people are looking for new income opportunities and purpose. How wonderful and rare to pursue an income doing something you truly love. Teaching yoga is a career that is flexible enough to fit into a busy lifestyle, so it can be a full- or part-time endeavor. From stay-at-home moms looking to go back to work, to people in need of a new direction in life, to yoga enthusiasts who want to make their passion more of a life focus, people from all walks of life can find an exciting and fulfilling future in yoga. If you feel you are ready to move to the next level and would like to make yoga an even bigger part of your everyday life, consider taking some yoga classes with the instructors who will lead your teacher training course to ensure your philosophy is similar. Classes can be intensive and take just months while others take upwards to a year. But if you decide this path is right for you, you will find the perfect fit, just as you did when you walked into that first class that got you hooked on yoga. Visit our website for more information about Chagrin Yoga’s 200 hour level Yoga Teacher Training through the Yoga Alliance.